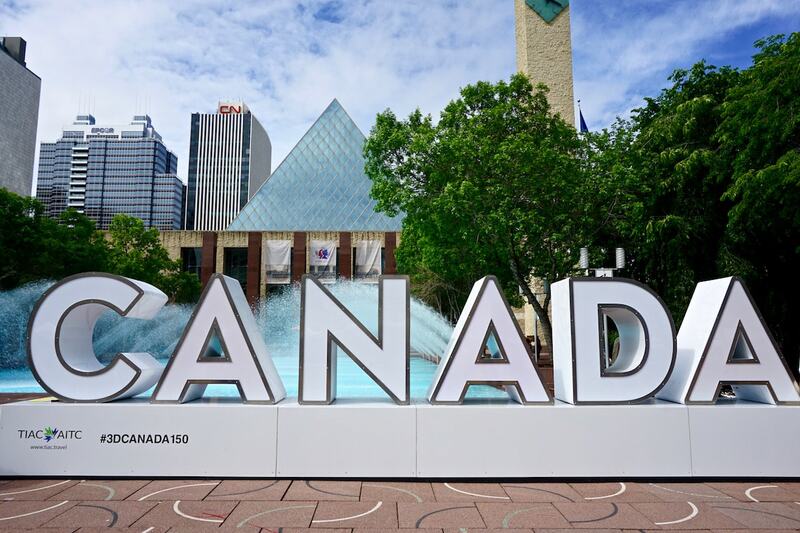 Find out the top things to do, where to stay, where to eat and drink, and some insider information to help you plan your holiday to Edmonton, Canada. When it comes to popular destinations in Canada, the same few come up time and time again. Banff and Jasper National Parks for their scenery, Whistler for skiing, and Vancouver and Toronto for being super cool cities. 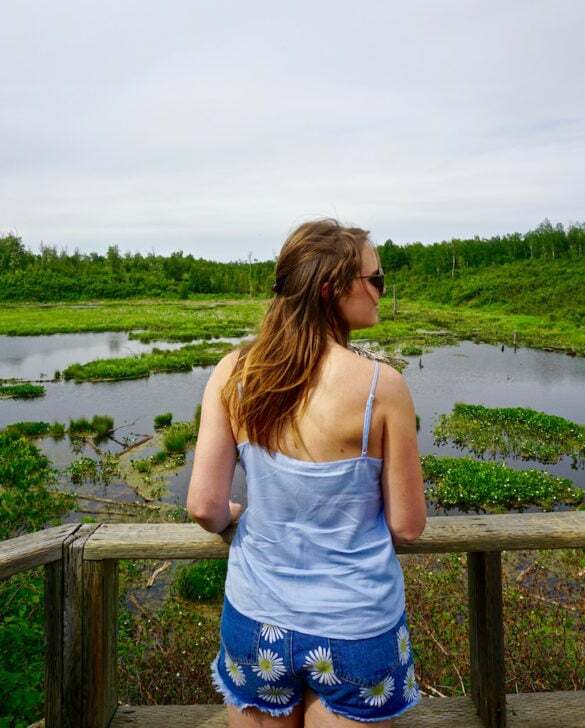 Recently I visited Edmonton in Alberta, and can see plenty of reasons why it’s worthy of being added to the hot list! 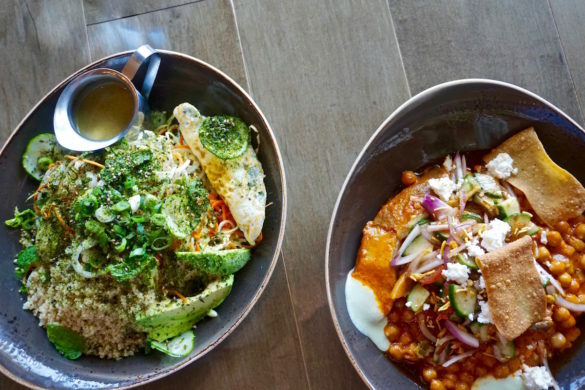 It’s fun, quirky, creative, buzzy and has an AWESOME food scene. 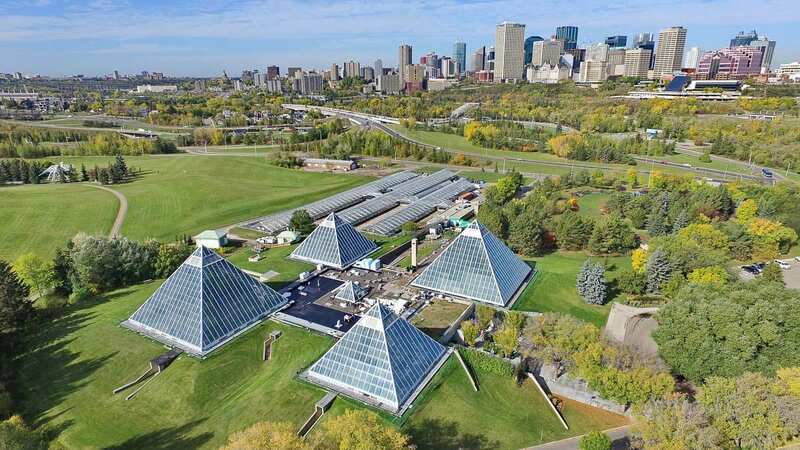 If you’re heading to Alberta to explore the stunning Rockies in Jasper or Banff, checking out Athabasca Glacier or Lake Louise, then add Edmonton into your itinerary. So time to reveal why underrated Edmonton is a worthy addition to your Canadian bucket list! 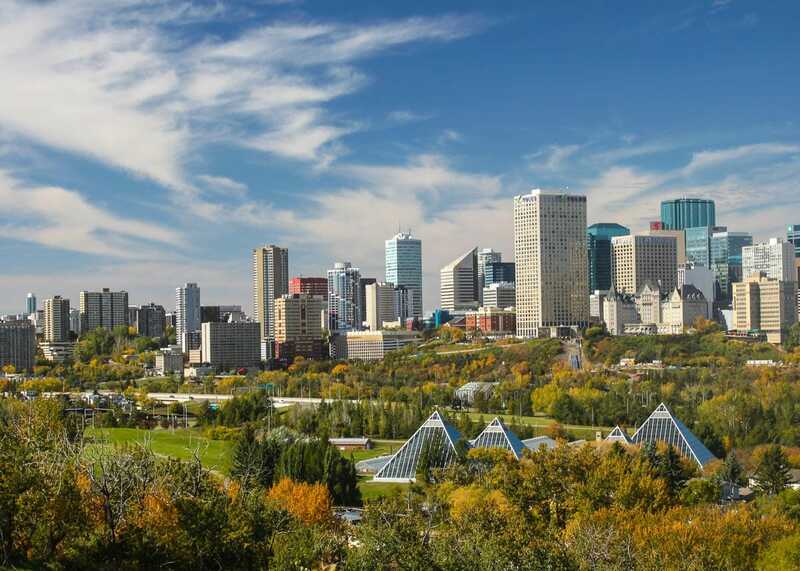 Edmonton is one of Canada’s fastest growing cities, beating the likes of Vancouver and Toronto. It’s got plenty to see and do, diverse scenery and the most sunny days in the whole of the country. 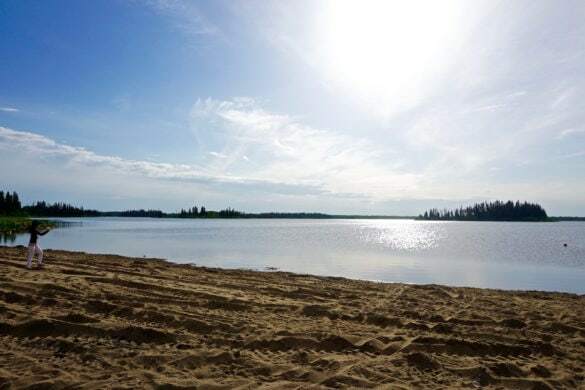 Yes, along with Calgary, Edmonton is the sunniest place in Canada – reason enough to visit in my opinion! Edmonton city centre brings industry, culture, skyscrapers, plenty of shops and restaurants and the downtown buzz that city-lovers enjoy. But nature is so close too. 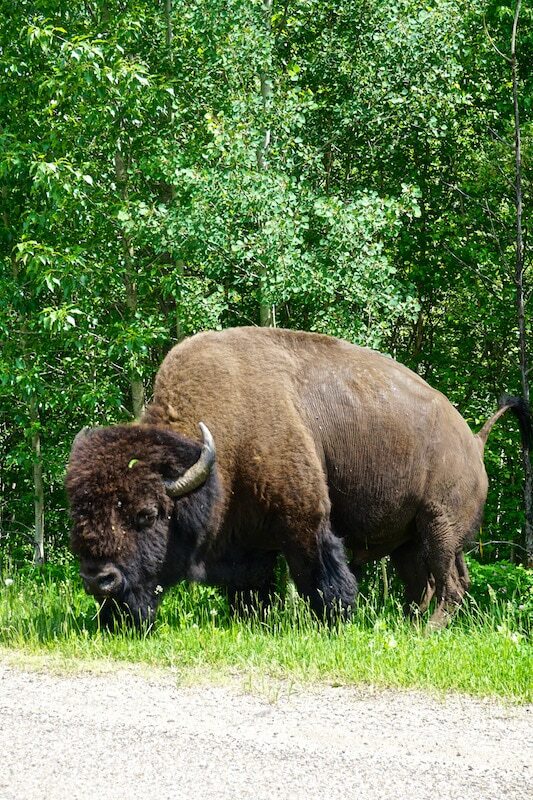 The peaceful Elk Island National Park is under 30 minutes drive from the city, and is home to so much wildlife. 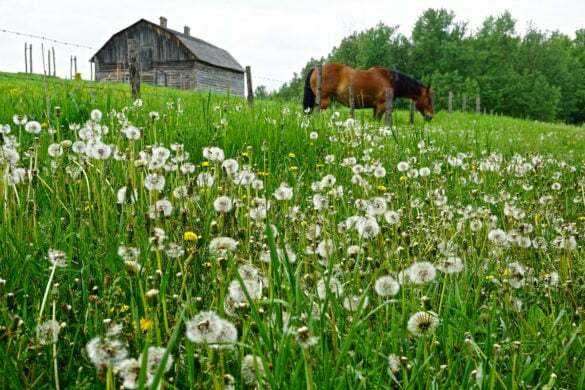 Oh and the North Saskatchewan River Valley give you that feeling of countryside, right in the city itself. 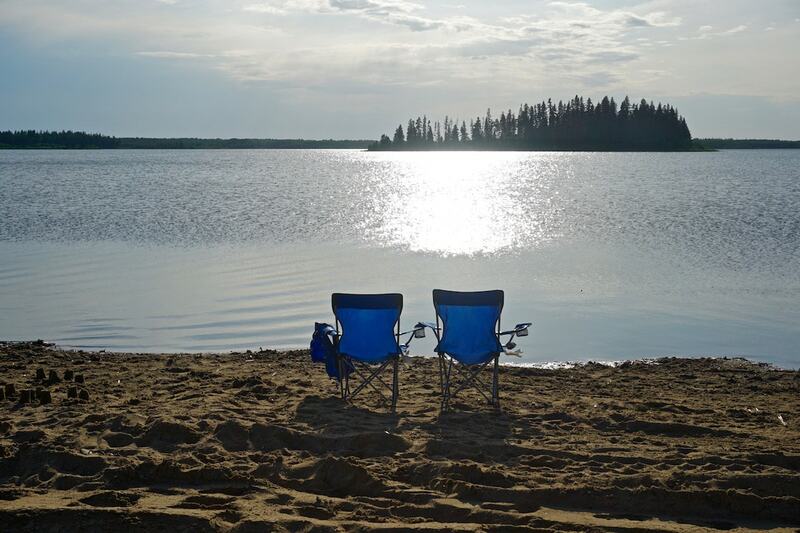 The weather plays a huge part in Canadian holidays, and that’s no different in Edmonton! Winter sees lows in the -30s (ouch!) accompanied by several feet of snow, and plenty of icy activities. 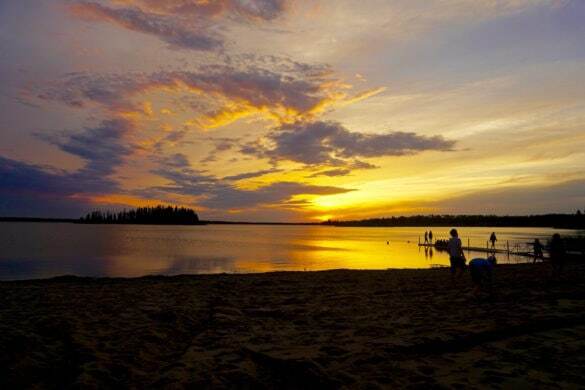 Meanwhile summer brings lovely long days, plenty of sunshine (well this is one of the sunniest places in Canada!) and tonnes of arts, music and food festivals. The Edmonton International Fringe Festival is the largest in North America with over 850,000 people attending last year! It’s comparable to ours in Edinburgh, showcasing the best in comedy, theatre and more. When I visited, I travelled with Icelandair from London Gatwick to Reykjavik (Iceland), and then on to Edmonton. Meanwhile, WestJet has twice-weekly flights non-stop direct from London Gatwick to Edmonton. 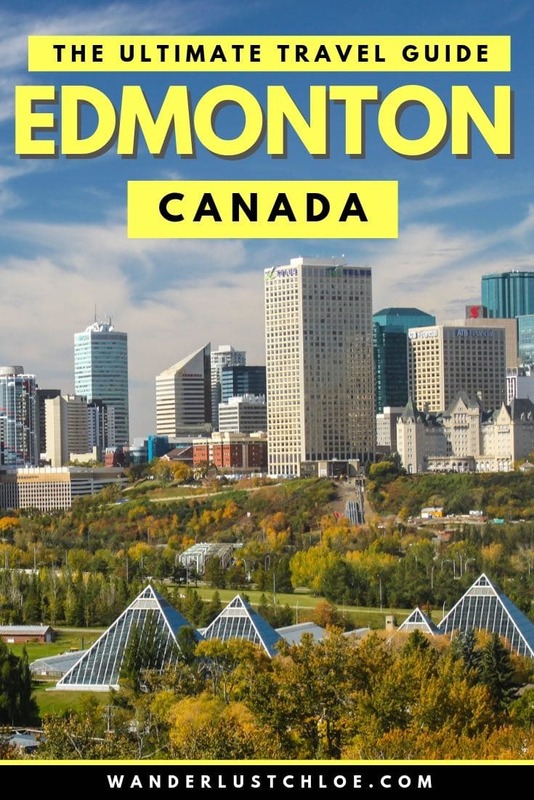 Edmonton airport is around 25 minutes from the city centre. Taxis aren’t too pricey in the city, and there is a decent public transport network. If you want to venture outside of the city to explore the national parks, consider hiring a car. This is a tricky one! As mentioned above, this is a city that dramatically changes from winter to summer. I visited in summer and after hearing about the extreme cold (lows in the -30s) and many feet of snow, I just don’t know how I’d cope. However, I spotted the guys from Hand Luggage Only visited in winter and it looks absolutely stunning (you can see what they got up to here). I loved that in June it was light until around 11pm at night and the temperatures were comfortably warm. I guess the nice thing with a destination like this, is that you could return again at a different time of year and have a totally different experience. And with that, lets find out what there is to do. I was really impressed with how much there was to do in Edmonton in the summer. From exploring the food scene on a food tour, to riding the historic streetcar, to shopping in the super mall and exploring the nature in Elk Island National Park, you’re bound to find something you enjoy. 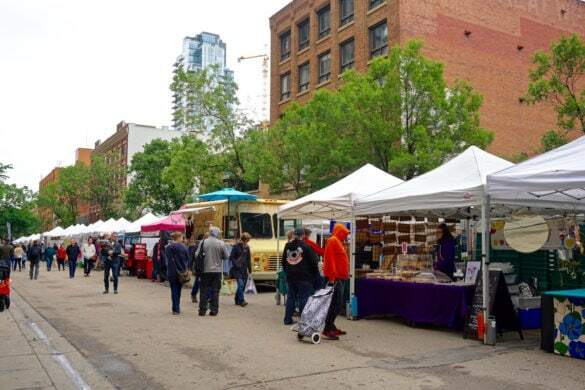 There are also tonnes of events and festivals held in the city each summer, including Edmonton Pride (June), Edmonton International Jazz Festival (June), Edmonton Folk Music Festival (August), The Edmonton International Fringe (August) and The Big Valley Jamboree (August). 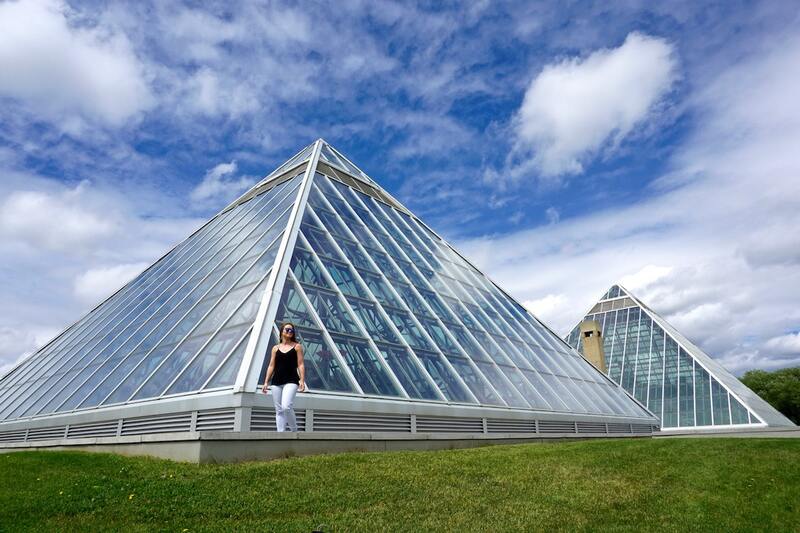 Muttart Conservatory – I loved exploring these giant pyramid-shaped greenhouses. 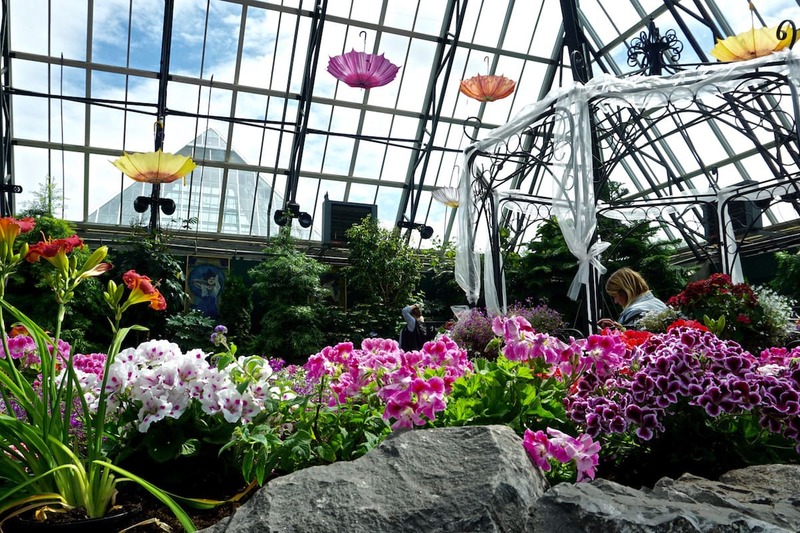 Not only is the architecture intriguing, but also inside are plants from across the globe. They run special events inside and theme one of the pyramids from time to time. When I visited it was as a Shakespearean theme. 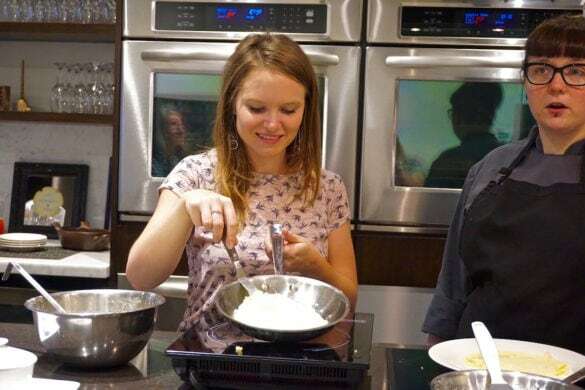 Edmonton Food Tour – Learn about the history of Edmonton by eating your way around it! 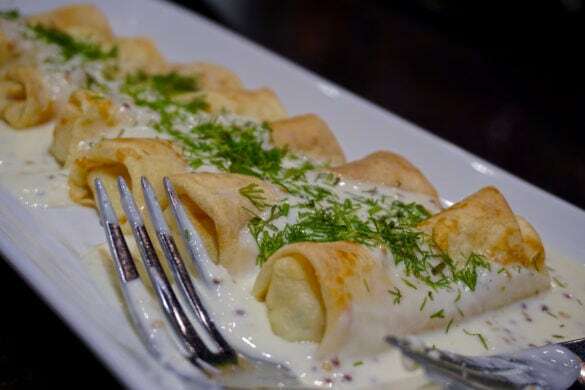 With a huge influx of Ukrainians in the early 20th century, we enjoyed a big brunch of eastern European delicacies before venturing out to explore the 104th Street Market. It was interesting to meet local producers and sample everything from gyozas and meat pies to indulgent salted caramels. 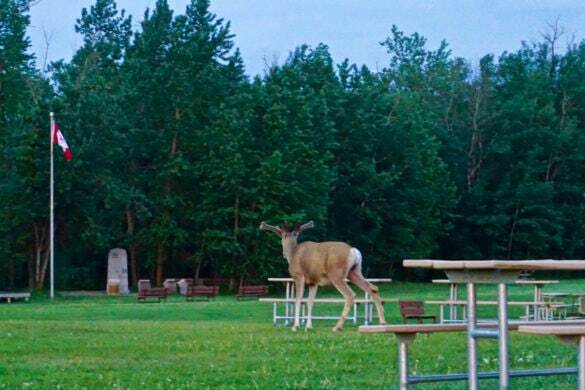 It was refreshing to see actual Edmontonians on the tour too. They were just as keen as us to know more about where their food came from and pick up tips for places to visit in the city. River Valley Parks – Edmonton seems to beat the rest of the country in plenty of areas… and here’s another! 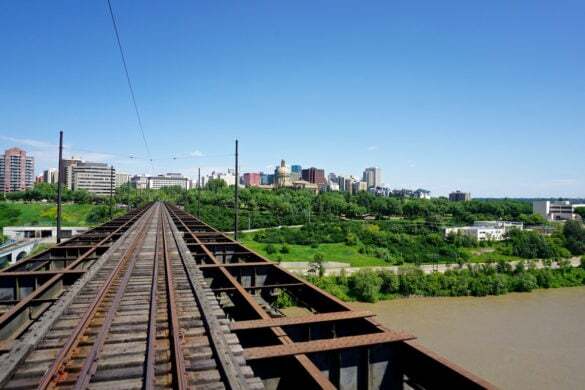 The city is home to the largest urban park in Canada, with more than 160 km of paths! Impressive huh? I loved taking a walk through the forests along the North Saskatchewan River Valley, especially to enjoy views like this. 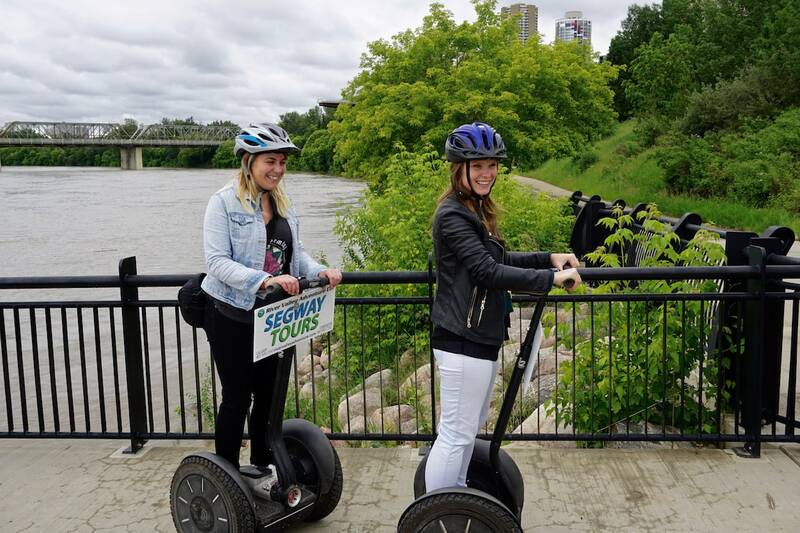 Hop On A Segway – And a Segway tour is a really fun way to explore not only the River Valley… but also the rest of Edmonton, without exhausting yourself! Street Art – I always love snapping pics of street art and am fascinated by the different pieces I find as I travel the world. 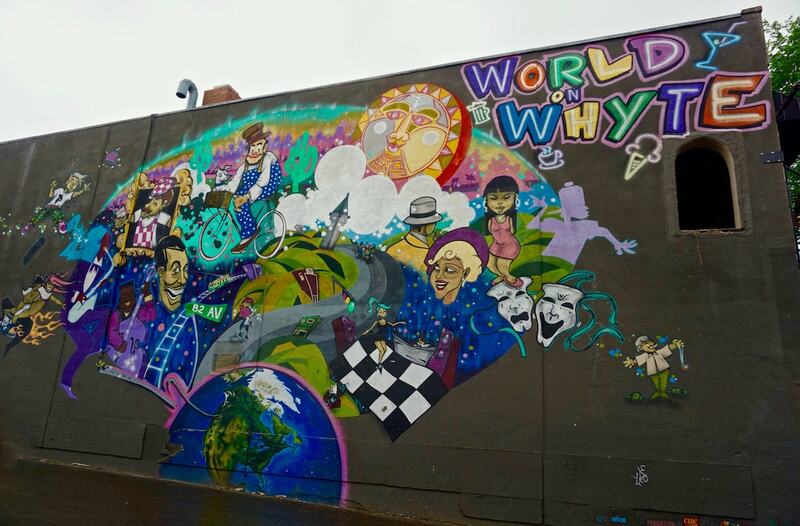 There were some great artworks in Edmonton, particularly in Old Strathcona around Whyte Avenue. 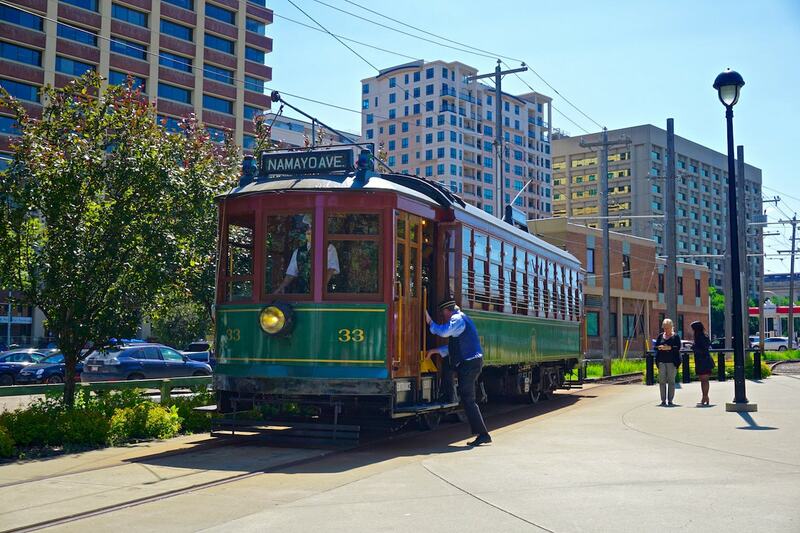 High Level Bridge Streetcar – Several streetcars transported Edmontonians around the city between 1908 and the 1950s. It’s a lovely experience to pay a few $ and take the trip over the North Saskatchewan River. The interior is just as it would have been, with vintage posters for brands like Heinz. Shopping – I shopped my way along Whyte Avenue and loved the mix of cute boutiques, vintage stores and quirky gift shops. 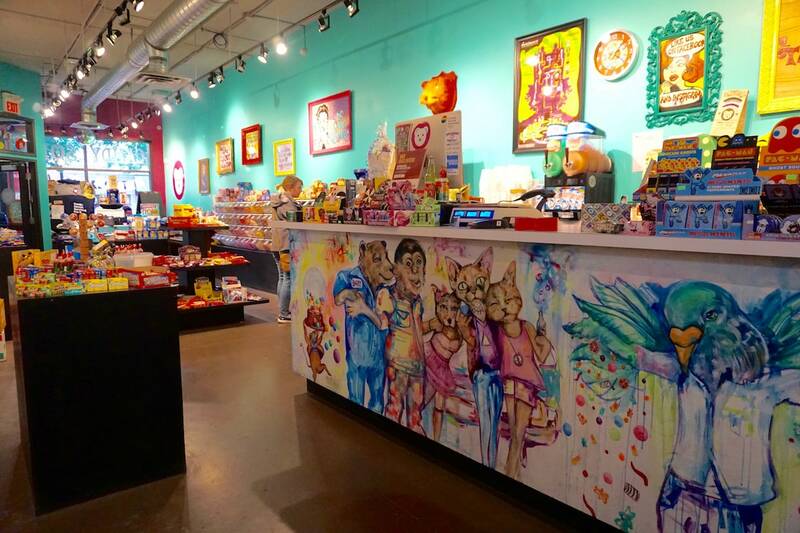 I was visiting with one of my fave blogger pals Emily (Emily Luxton Travels) and we were SO excited to discover Gummi Boutique – an incredible sweet store with floor-to-ceiling displays of different sugary treats! West Edmonton Mall – I couldn’t quite believe that North America’s largest mall is in Edmonton! 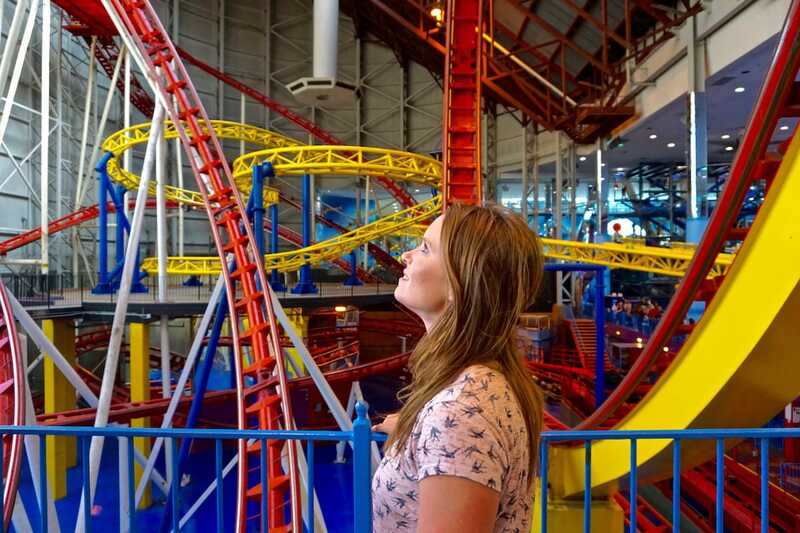 Pretty random… but along with 800 stores you’ll find a waterpark, ice hockey stadium, cinema, shooting range, hotels and Mindbender – the world’s largest indoor triple-loop rollercoaster! I braved it, and can officially say it was AWESOME! I’d also say that if the weather is bad outside, the West Edmonton Mall is a great place to keep warm and dry! 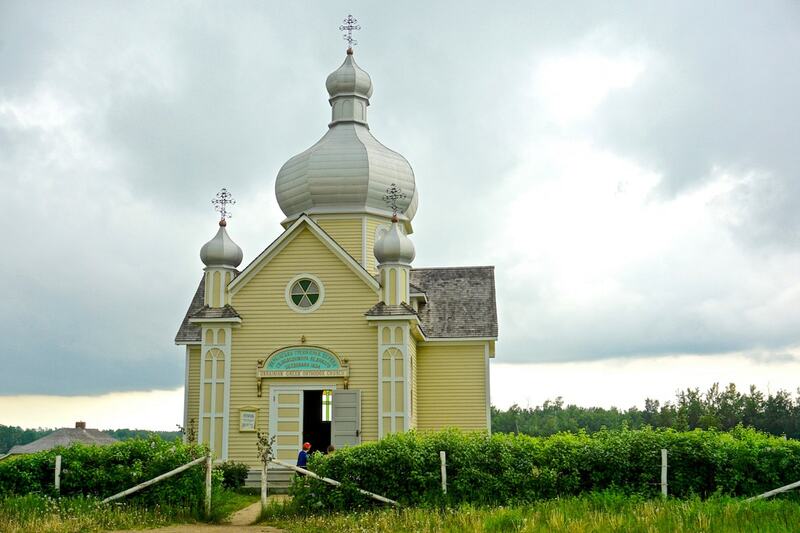 Ukrainian Cultural Heritage Village – If, like me, wandering through stale museums with things in glass boxes bores the socks off you, then don’t worry! This living museum turns back the clock to the 1890s when there was a huge influx of Ukrainians to the region. 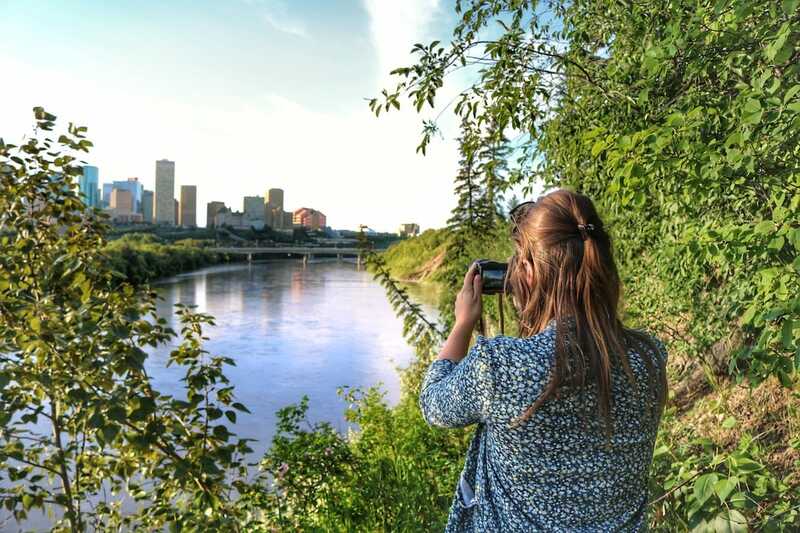 By chatting to the character actors, eating traditional foods and exploring the unique village, you’ll develop a really good understanding of this big part of Edmonton’s history. 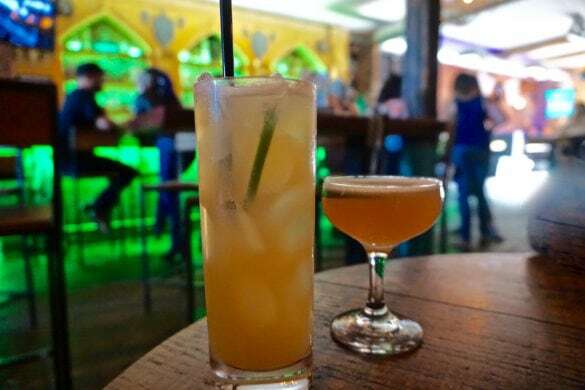 El Cortez Mexican Kitchen and Tequila Bar – If you’re looking for the best tacos in the city, head to this gothic bar and restaurant! I loved the buzz here, and as the night goes on it’s all about cocktails and DJs. 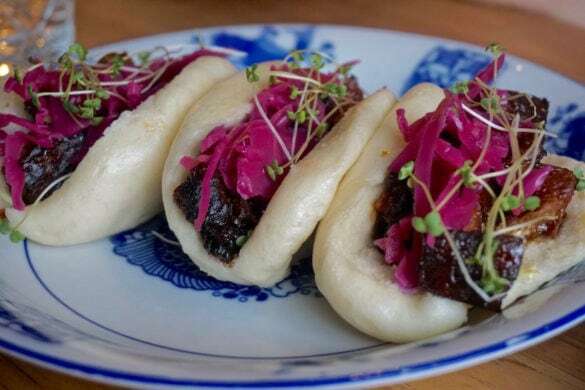 Baijiu – Super stylish Asian restaurant serving tasty tempura, squidgy baos, spring rolls, grilled fish and more, in the trendy Mercer building. Don’t miss the delicious cocktails too! 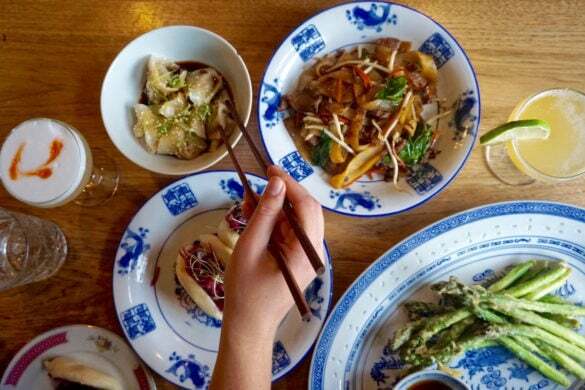 Ampersand 27 – Super chic décor (not to mention pretty lights everywhere) and a truly international menu make this a spot well worth checking out. 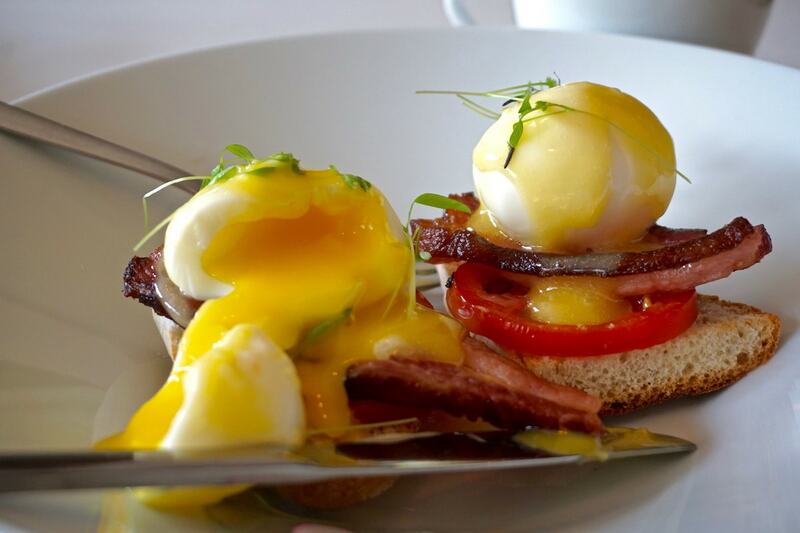 Little Brick Cafe – The best brunch I had in Edmonton! This cute local spot has a chilled out vibe, great coffee and Instagram-worthy brunches. 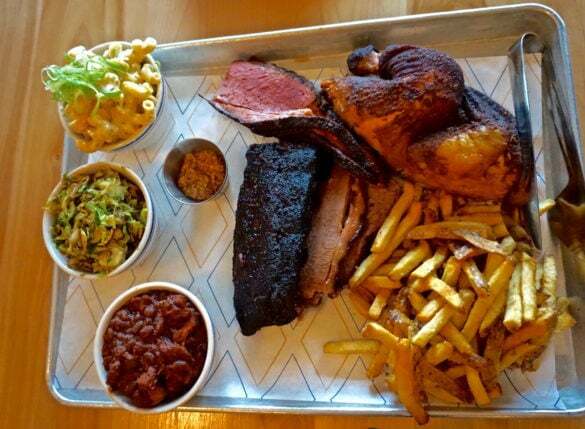 MEAT – If you’re having a carnivorous day, this is the place for you! It’s man food through and through, serving big sharing platters of ribs, steaks, chicken and sides. Mettera Hotel – This smart Whyte Avenue hotel is one of the best-located in the city. I stayed here for the majority of my time in Edmonton and loved their wine and cheese hour (free to guests!) and the fact that most of the top restaurants were within walking distance. Crash Hotel – I stayed here the night I arrived in Edmonton. After a long day travelling from the UK I was desperately needing sleep, so it was perhaps not the best choice for a restful night with its young / party vibe! Any other night and I would have loved it! It’s perfect for people who aren’t quite ready to wave goodbye to their hostel days, but want their own space. 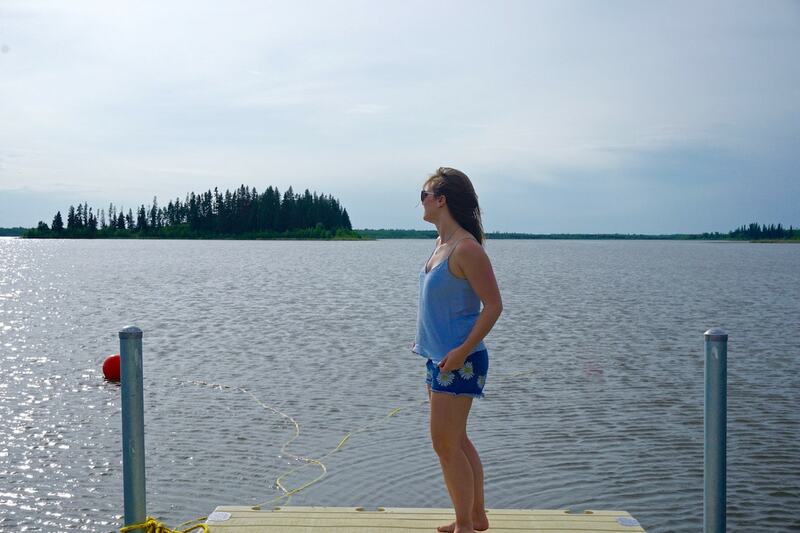 oTENTik – I’ve only camped a few times before and was extremely happy to stay in one of these glamping-style cabins in Elk Island National Park. 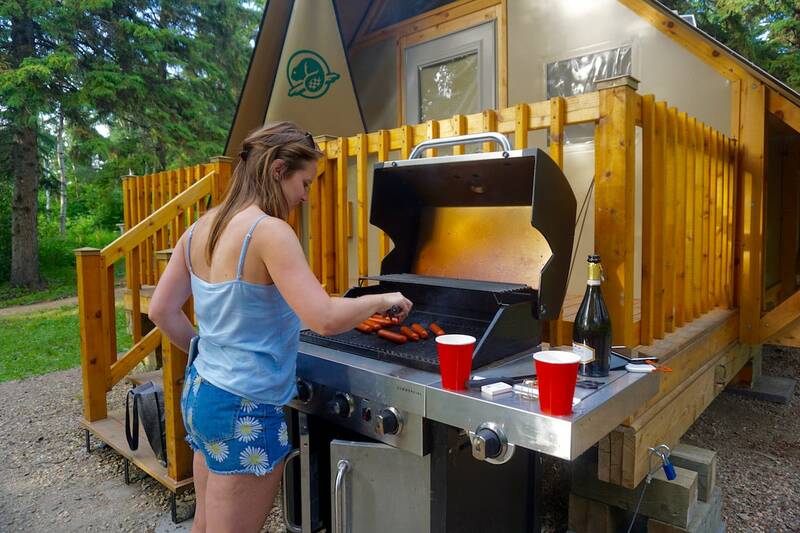 With 3 large squishy beds (you could probably sleep 6), a gas BBQ and a big campfire area, it was a lovely place to round off our time in the national park. 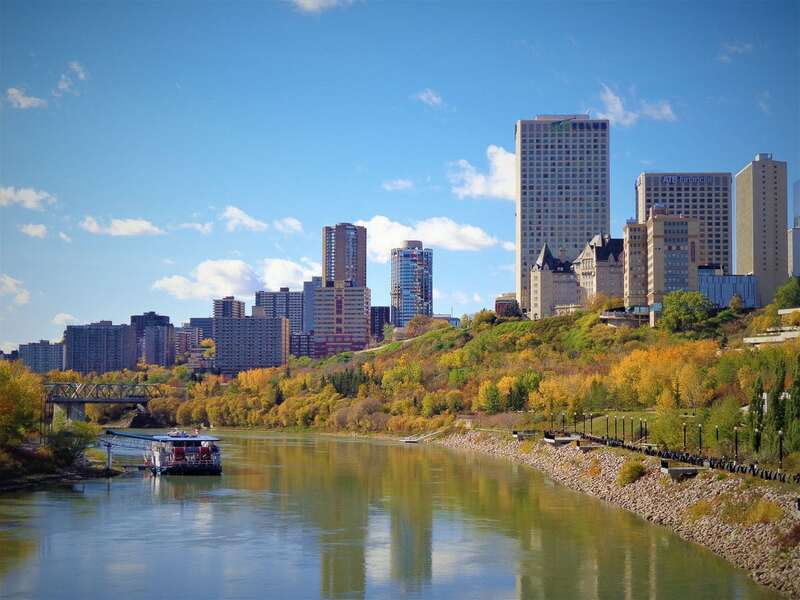 Check out more great hotel options in Edmonton here. And of course, for every budget, Airbnb has plenty of great options. If you use THIS LINK to sign up you’ll get £30 off your first booking! 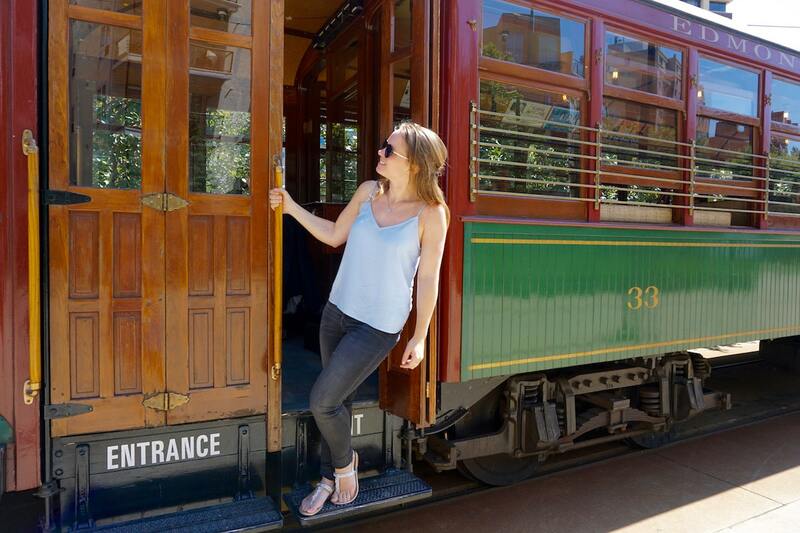 Love this post, Chloe – so glad you had a lovely time. How did we miss Gummi Boutique… it looks so delicious! Thank you! So glad you enjoyed it. You’re very lucky to be from there! 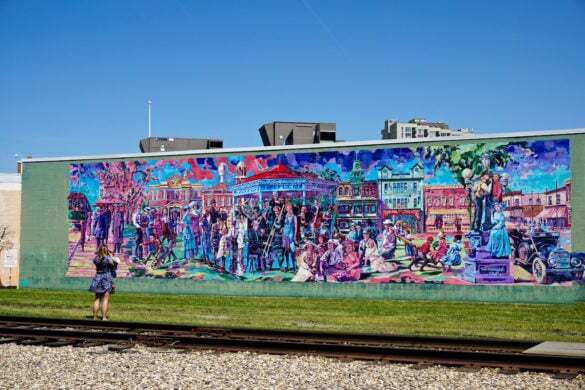 Great post Chloe, awesome to see Edmonton get more of the attention it deserves! Great city! It deserves it! Edmonton is a great starting place for an Alberta road trip!